View More In Bridge & Bridge Parts. The Graph Tech ResoMax NV2 Guitar Bridge is designed to maximize harmonic content and richness in every note and make restringing a breeze! 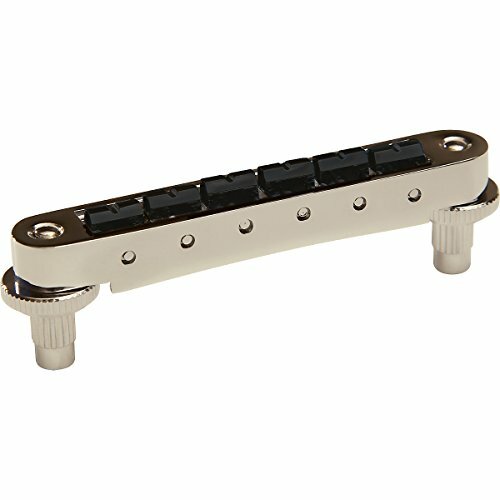 The ResoMax NV2 Auto Lock bridge is loaded with Graph Tech String Saver saddles. String Saver saddles are impregnated with non-stick coating and will virtually eliminate string breakage and improve tuning stability. String Saver saddles are super lubricating and corrosion resistant.The AutoLock locking feature on the Graph Tech ResoMax NV2 guitar bridge magnetically secures your bridge at all times without tools to use or lose, making restringing simple and quick.